The truth is that it is easy to fall back on the tried and true methods of sharing information, which generally results in passive learning and participation from your audience. However, if you are looking to try some new strategies that make your presentations more engaging, check out these two tips! Every single person reading this article has sat through a boring, seemingly endless PowerPoint presentation at some point in their professional career. More than likely, they sit through boring PowerPoint presentations on a regular basis, OR they (unfortunately) cause their staff or students to endure this as well. One great way to change up this presentation to be more interesting and engaging is through an Ignite presentation. What is Ignite? Ignite is a movement, similar to TED, but their take is a little different. The tagline is “enlighten us, but make it quick.” A standard Ignite presentation is 20 slides that auto advance every 15 seconds. If you do the math, that gives you a 5 minute presentation—that’s it. You, and more importantly your audience, know that there is a definite end point, and that they will not have to see the same slide for more than fifteen seconds. This encourages the audience to stay more actively engaged throughout the presentation, as they know the next slide is only seconds away! We have used Ignite presentations with both staff and students—and students LOVE presenting using the Ignite format (some 9th graders have even been known to ask “When can we do another Ignite speech?). Of course, you can take a variation on the Ignite format if you need to include more (or less) slides. The key is timing the slides so they autoadvance and keep your presentation moving at a brisk, consistent pace. There are several templates you can build off of, to help you set up your first Ignite presentation. Check out this document for templates and strategies for getting your Ignite presentation off the ground. We’ve all been there—we have an activity that we need our staff to complete, or a training that they need participate in, but we know it has the potential to bore our staff to tears if they don’t get up and moving. Or we want to come up with a new team-building activity for our staff, but can’t come up with a great idea that is both purposeful and engaging. Good news! You can send your staff, or team, or students on a wild “Goosechase” to achieve all these goals. What is a Goosechase? According to their website, a Goosechase is an “education scavenger hunt for the 21st century.” In a nutshell, a Goosechase combines a scavenger hunt with the use of a mobile device. Participants, after downloading the free app and signing into the pre-arranged game, are sent on various missions where they have to take a photo, take a video, or text a response that answers or accomplishes a specific prompt. The organizer of the game has the ability to watch each photo, video, or text submission as it comes in, in real-time, and can add or subtract points based on creativity or whatever other criteria you come up with. When the Goosechase concludes, it is great fun to have each team see the running list of submissions from their group, as well as the other teams participating in the hunt. How can I use Goosechase? First and foremost, you need to set up your account. Goosechase offers free EDU accounts to educators where you can have up to five teams in a game. Once you sign up for an account, you can create your game and set up your tasks. At my school, we used Goosechase for new teacher orientation — instead of just expecting them to remember where their mailbox was, or where to find their safety vest for bus duty, we had them find these items as part of a Goosechase hunt with other new teachers and their mentors. We also used it as a team-building activity to kick off the school year for all faculty — requiring them to get items they will need throughout the year (like check request forms) and get information about when healthy benefits paperwork is due in a fun, interactive way. Goosechase is also a great activity to encourage your teachers to try in the classroom. The students LOVE using their cell phones and iPads to take pictures and answer clues! While both Goosechase and Ignite presentations can be ways to increase audience/participant engagement, each has a different end goal. Ignite presentations can help bring brevity and conciseness (as well as the “fun” of watching someone try to stay ahead of their auto-timed slides) to a standard presentation. Goosechase can help to get people moving and working together on a team during a task that might normally seem mundane. I encourage you to try one, or both, of these this year and see how fun, and worthwhile, these engaging tools can be! 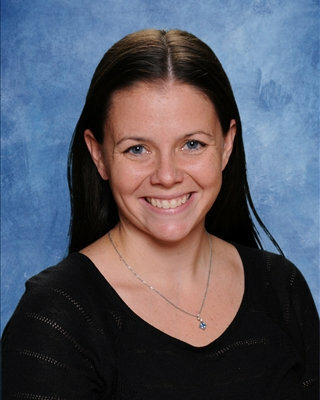 Kara Martone is Director of Technology/Database Administrator at Long Island Lutheran Middle & High School in Brookville, New York. She can be reached at kara.martone@luhi.org.